Give your skanky barbeque some welly with this brass bristle hand brush! Great for grills too. 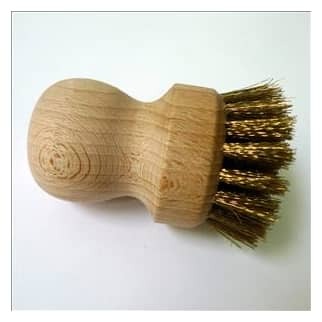 Like the pot/veg brush the thoughtfully designed handle has a very pleasing comfy feel – nice to use.